The raise in tariffs is still in question. The revenues from the rail freight tariff increase by Ukrzaliznytsia, the national railway operator, should not dissolve into the thin air the way it was the case last year. Any increase in tariffs should be thoroughly discussed with the business prior to decision-making, Ukraine's Minister of Infrastructure Volodymyr Omelyan said on the air of the TV channel Ukraina on Sunday. "We wanted Ukrzaliznytsia to be a locomotive of the Ukrainian economy that supports the economy through additional tariff injections. However, this money should not just disappear into the thin air as it happened last year," the minister said. 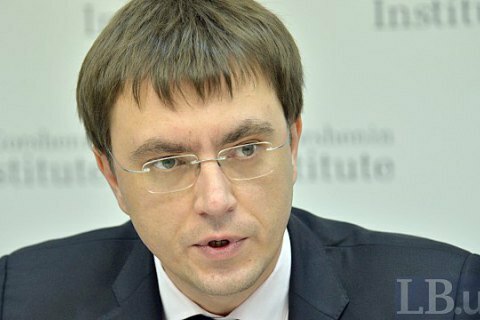 Omelyan said that the previously announced plans to raise rail tariffs for freight transportations are still in question. "There should be a normal discussion. I will strongly support it because I believe that the business deserves to have normal relations with the government. Only after this discussion we should jointly decide on the size of the increase and whether it is needed at all," Omelyan stressed. Ukrzaliznytsya's financial plan for 2017 provides, in particular, a 22.5 percent hike in freight tariffs since June. The plans stirred massive outcry among industrialists, who pointed out that the financial burden of the increase will fall on their shoulders, reduce the volume of freight traffic and ultimately lead to a decrease in tax revenues to the Ukrainian economy. Ukrzaliznytsya has repeatedly raised freight tariffs in recent years.